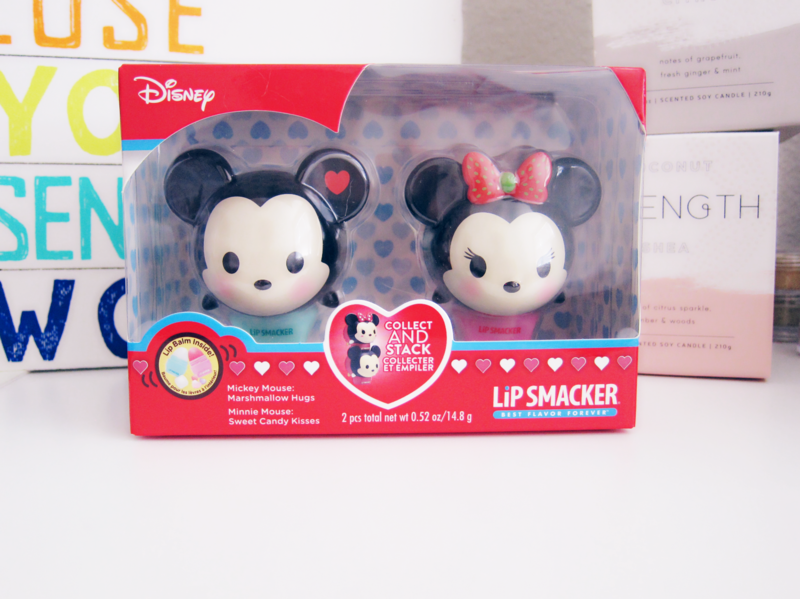 It seems every year there's a special Limited Edition Lip Smacker Mickey & Minnie Mouse lip balm set for Valentine's Day. This year it featured Mickey in Marshmallow Hugs & Minnie Mouse in Sweet Candy Kisses. I had the one from last year as well but I never opened/tried them and I didn't blog about it, though I'm not sure why I didn't. Minnie has a cute Strawberry themed looking bow between her ears and Mickey is sporting a red heart on his right ear. But that's not all! CAN WE TALK ABOUT HOW CUTE THEIR LITTLE MOUSE BUTTS ARE?! I loved the design they were dressed in and their little tails made it even better! I don't know, I guess I just assumed it was just the front face part that was designed. I'm gonna start with my favorite former boss, Mickey. 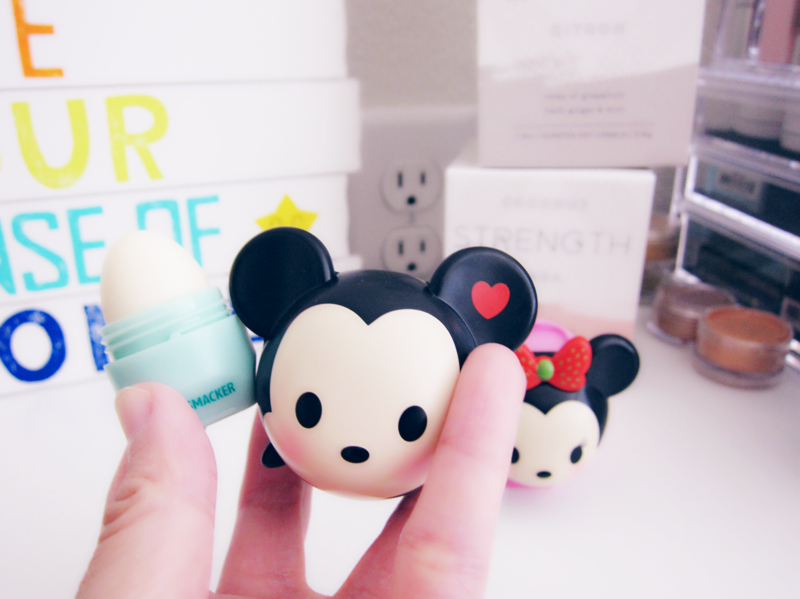 The thing I've never been a fan of when it came to these TsumTsum lip balms is that they're so dang head heavy! And how small of product you actually get (granted I've never actually finished one of these, but still, roll with it) compared to the size of their cute huge heads! 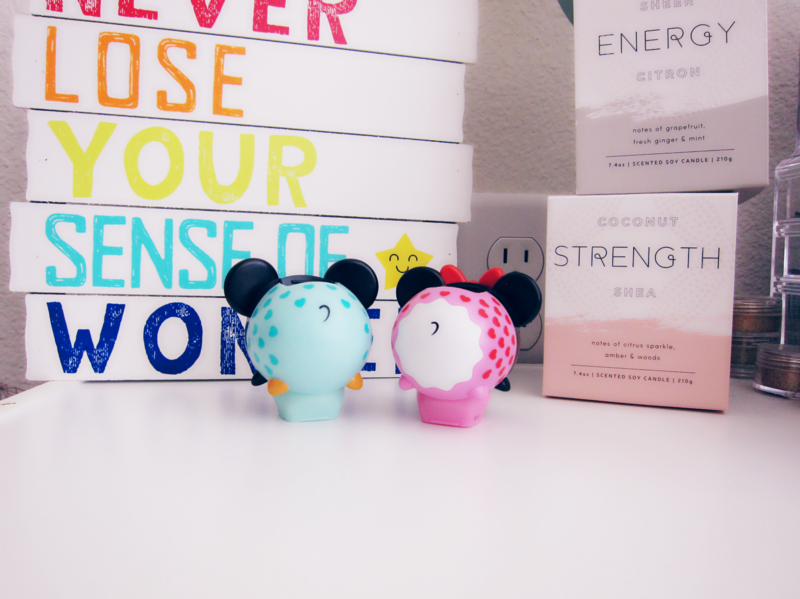 When I first tried these two out I concluded that Mickey tasted like Magic Kingdom. The scent and the taste of this lip balm reminded me of a really pretty sunny day walking across Main Street USA and eating my favorite Chocolate Marshmallow's from The Confectionery. It's that kind of taste/scent. I'd say that he had a pretty heavy spot on taste and scent of marshmallow with a really nice powdered vanilla flavor. When it came to Minnie, I felt like she tasted like EPCOT. Like, if you were to take Flower & Garden Festival and wrap it up into one flavor, it would be this Minnie. She had a really sweet fruity taste/scent to her. I could pick out Strawberries and Watermelon and a hint of what sort of reminded me of lollipops. The only problem was as good as she tasted when first applied, as it faded it just started to taste/remind me of what a big huge sugary mess would smell like lol. I wasn't a fan of what it would fade into. The scent/taste and the moisture factor for both of these lip balms lasted a really good amount of time. I didn't find myself reapplying it as much as other lip balms and it wasn't at all drying as it did fade. I really enjoyed trying these guys out. 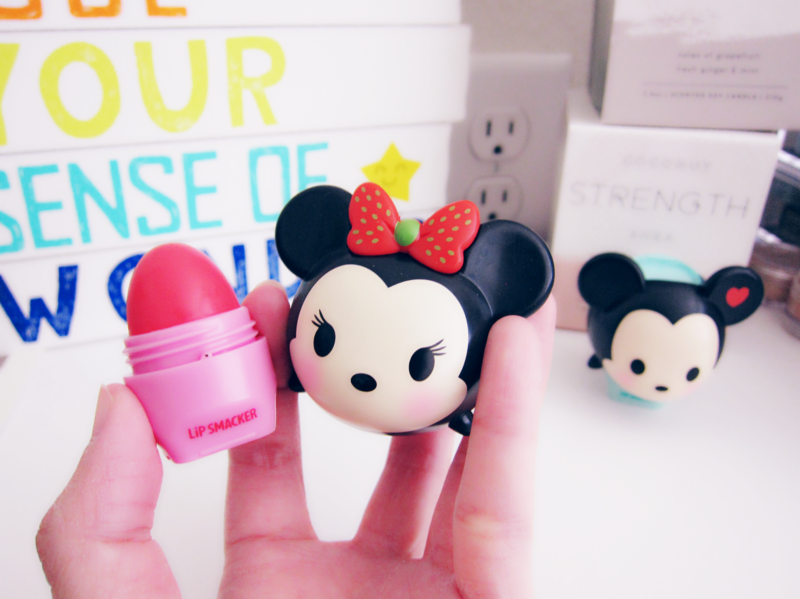 I collect almost anything TsumTsum and I have a number of these lip balms and I USE to review them. I don't know why I stopped! I had so much fun putting this post together! I'm curious to know what next years flavors are going to be!